There’s a gender gap when it comes to buying flowers: Women buy 65 percent of fresh flowers, according to the Society of American Florists, while men buy 35 percent. To the extent that men might be intimidated or uncomfortable buying flowers, we’d like to make the experience a more enjoyable one for them. To do this, we tapped the expertise of Cheryl Brill, Royer’s vice president of retail operations. Cheryl shared these insights based her more than 20 years of experience in the flower business. Too often, men think only of roses for their significant others, and then only in red. 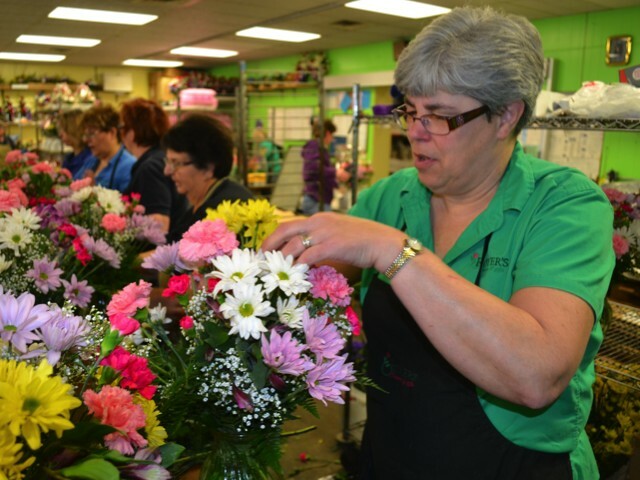 Cheryl encourages male customers to be more adventurous, whether it’s with other colors of roses, other flower varieties, or other looks such as a textured garden appearance. Maybe the tendency to focus on red roses has a lot to do with Valentine’s Day which, let’s face it, is ruled by red roses. But the year has only just begun when Valentine’s Day rolls around, so why not mix it up for the 364 days that don’t fall on Feb. 14? What’s more, 63 percent of flower purchases are for the buyer, compared with 37 percent as gifts. And 86 percent of purchases are for non-calendar occasions, 50 percent of which fall into the “no special occasion” category. The bottom line is that people like to receive flowers any day of the year. Flower prices tend to rise around Valentine’s Day, in concert with a spike in demand for what is the floral industry’s equivalent of football’s Super Bowl. If that’s the only time of year that you purchase flowers, you can get a warped sense of how much they cost on a day-to-day basis. Cheryl described how a $7.99 rose bunch made a positive impression on one male customer, who realized that he could afford to be a more frequent flower buyer. If she likes to arrange flowers, Cheryl said, then get her a vase that lends itself to arranging and one that fits the décor of the room where it will be used. Does she tend to put flowers on the kitchen counter or on the coffee table? In this age of do-it-yourself, there’s a tendency to think that we must go it alone with everything. Rest assured, your trained florist is eager to help. It starts with the right container; she noted that it doesn’t have to be a plain, clear vase. Either bring one in, or your florist can help you select one. 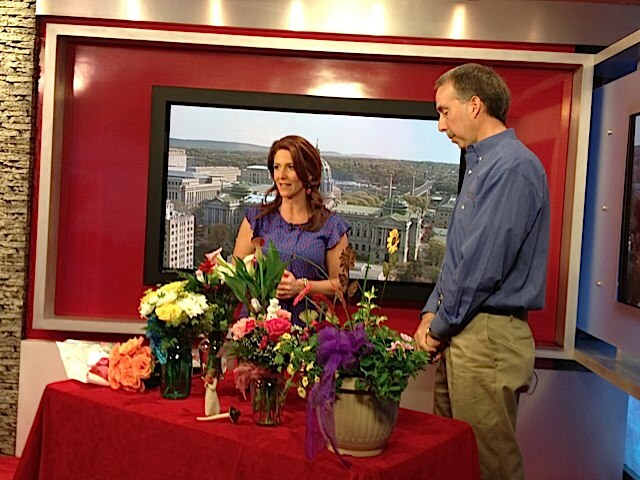 Before you visit or call your florist, Cheryl advised, think about the words you want to send along with the flowers. She said florists are a bit like bartenders: they’ve seen and heard everything, so don’t be embarrassed. Speak from the heart because the sentiment is just as important as the flowers that it goes with. Valentine’s Day is an oasis amid the darkness of winter, Cheryl said, but it’s nice to see male customers the rest of the year, too. No plant says Christmas quite like the poinsettia. But nary a holiday season goes by without poinsettias being negatively associated with pet health. Relatively few plant and flower species are dangerous to pets, and the effects can range widely. The same can’t be said about lilies and cats. Eating just a couple of leaves or licking a few pollen grains off their fur can quickly cause kidney failure, according to CBS News. This is the case for any true lily — belonging to the plant genus Lilium — including Easter lily, tiger lily, rubrum lily, Japanese show lily and certain species of daylily. In contrast, the calla lily, peace lily, lily of the valley and Peruvian lily (alstroemeria) are not true lilies and won’t cause kidney failure in cats although they have other toxic principles, according to the Pet Poison Helpline. The ASPCA’s Animal Poison Control Center offers an exhaustive, sortable list of plants that are toxic or non-toxic to dogs and cats. The list focuses on plants “that have been reported as having systemic effects on animals and/or intense effects on the gastrointestinal tract,” according to the ASPCA, which cautions that the list is not meant to be all-inclusive. If you think your animal is ill or may have ingested a poisonous substance, the ASPCA suggests contacting your veterinarian or its 24-hour emergency poison hotline at 1-888-426-4435. The Pet Poison Helpline offers its Top 10 Plants Poisonous to Pets. Entire TV shows these days are dedicated to tiny houses, so perhaps it should come as little surprise that mini-gardens are popular again. Royer’s recently reintroduced terrariums to its product lineup. They are individually crafted in our dish garden department in Lebanon and come in rope; dome (small, medium and large); and greenhouse versions. “You look in them, and you just feel good,” said Cheryl Brill, Royer’s vice president of retail operations, comparing the look of the light-green reindeer moss covering the soil to that of a forest floor. Growing plants in transparent containers dates to Greece at least 2,500 years ago, according to University of Missouri Extension. The practice in the United States is traced to New England. Closed terrariums are best at keeping humidity inside (followed by open terrariums and dish gardens), so they only have to be watered once per week. Terrariums and plants are great for offices as they are known to improve air quality, boost productivity and reduce stress. There are lots of statistics out there about the economic benefits of buying local. When you buy from locally owned stores, the money stays in your community and puts your neighbors to work. It’s true whether you spend your money at a local restaurant, hardware store or florist. Speaking of flowers, buying directly from a local florist rather than through a national wire service such as FTD (which last year bought ProFlowers) or Teleflora can put money back in your pocket, too. That’s because the wire services are middlemen, adding another layer of charges that consumers pay for without realizing any added value in return. The wire services are marketing companies that hand orders over to local florists, who make the arrangements and deliver them to your home or office. CNN Money, in a story timed to Valentine’s Day 2013, noted how FTD had advertised a glass vase with roses and mini-carnations for $44.99. However, to send that arrangement to Reno, Nev., FTD’s service charge bumped to price to $65. By comparison, that same arrangement ordered directly from a Reno florist: $53. “If all orders came in this way, our business would not be sustainable,” the florist said. Of course, this begs the question of why they stick with the wire services if florists have trouble making money on incoming orders. Greg Royer, president and CEO of Royer’s, said that FTD and Teleflora are generally well regarded; they have been in business since 1910 and 1934, respectively. “We also want to be able to send orders to other florists, so accepting orders via the wire services is only fair play,” he said. However, he noted that from a consumer perspective, it’s a better deal to work with a local florist. You’ll be dealing with the same people who are going to arrange and deliver your flowers. And you’ll avoid the added fees associated with the wire services. We typically think of the North Pole when it comes to Christmas, but the most popular holiday plant originates with our neighbor to the south. Poinsettias are native to Mexico and were introduced to the United States in 1825 by Joel Roberts Poinsett, who was the first U.S. ambassador to Mexico. In fact, Poinsett’s death in 1851 is commemorated every Dec. 12 as National Poinsettia Day. The colored parts of poinsettias aren’t flowers but bracts (leaves). Poinsettias have been called the lobster flower and flame leaf flower. 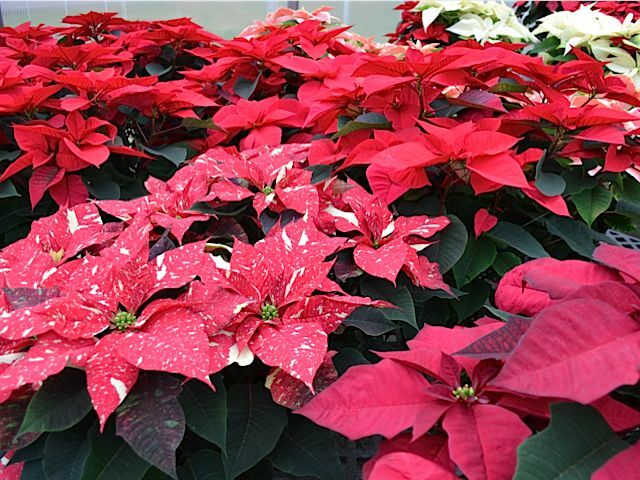 Poinsettias are not poisonous, to humans or pets: An Ohio State study found that a 50-pound child who ate 500 bracts (leaves) might have a slight tummy ache. Poinsettias are commercially grown in all 50 states. For instance, the 20,000 poinsettias that Royer’s receives each year are from Lancaster County. Ninety percent of all poinsettias are exported from the United States. Average room temperature is fine; they cannot tolerate cold. Bright light is best, as they originate from the warm, bright southwest and Mexico. If given ample sunlight, they’ll last well into the new year. Avoid keeping a plant too wet, they like moist but not wet. Frequency and amount of water will vary depending upon amount of sun, humidity in house and pot size. 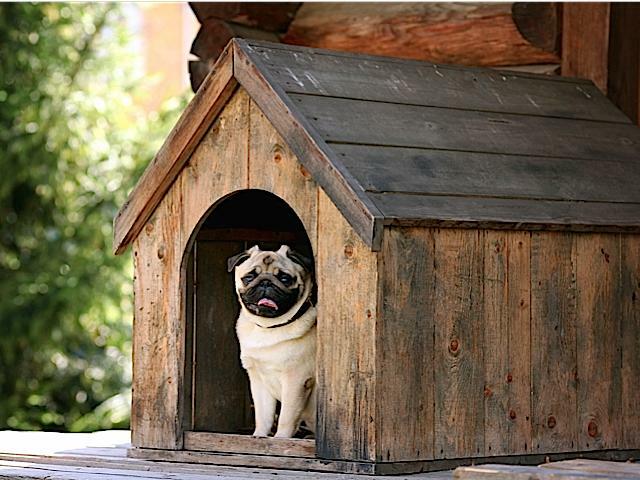 In the doghouse? Our website will help you find the words to say you’re sorry. The Greek mathematician Archimedes said that with a long-enough lever and a fulcrum, he could move the world. That’s a pretty lofty goal. What if you are just searching for the right words to accompany the flowers that you’re sending to a loved one? Royer’s website offers more than 200 quotations and expressions to help you say what needs to be said. They cover everything from anniversaries and birthdays to love and marriage, business and education to sympathy and thank you. Feel free to pick one or cobble together your own version from these suggestions. We can’t promise that your words will move the world, but they will be a really nice complement to the flowers you send. So you bought annual plants in a container at your local florist, garden center or home-improvement store. 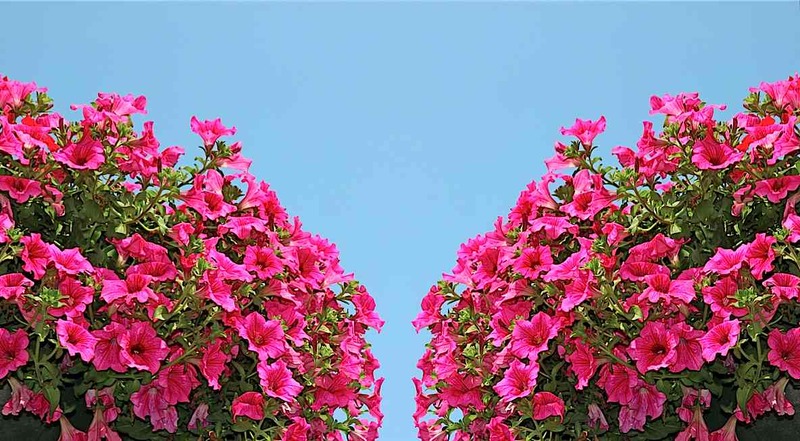 Annual plants – such as petunias, geraniums and begonias that complete their life cycles in one year – pose perennial challenges once you bring them home. 1. You have to add nutrients: Your plant didn’t come in nutrient-rich soil. Rather, it’s a potting mix that includes peat moss. This mixture is inert, meaning that it doesn’t contain the nutrients found in soil. So you have to add the nutrients by applying fertilizer on a regular basis. 2. Fertilizer is soluble, so you have to keep adding it: Regular watering of your annual plants will wash out the added nutrients if the container has drainage holes on the bottom. 3. Don’t add too much fertilizer: One of the ingredients in fertilizer is salt. Too much fertilizer – and with it, too much salt – can damage plant roots. The salt in the fertilizer will remove whatever moisture is left in the roots and burn them. 4. Cut the amount in half: Whatever dosage the fertilizer manufacturer recommends, consider cutting the amount in half and fertilizing every time you water. This way you have less of a chance of burning the roots, and your plant gets a continual supply of nutrients rather than peaks and valleys. 5. Give them a pinch: Remove the old blooms and pinch a plant’s tips, which will force out new growth. An occasional light trim will keep a plant bushy and blooming. With proper care, your annual plants will bloom beautifully for you this summer. For all of its exploration of the galaxy, the space program has accrued many benefits right here on earth. Thanks to NASA, we know that houseplants can purify the air in our homes and workplaces. NASA originally focused on finding ways to purify the air in orbiting space stations. A 1973 space mission identified 107 volatile organic compounds, or VOCs, that were emitted by the synthetic materials inside the spacecraft. It was clear that tightly sealed buildings, whether orbiting in space or on the ground, could cause health problems. Three of the pollutants found in spacecraft – benzene, formaldehyde and trichloroethylene – also are present in homes and offices, emitted by everything from building materials to furnishings to office equipment. Air-tight buildings conserve energy and reduce heating and cooling costs, but they also trap these pollutants. NASA found that certain houseplants, because they are good at absorbing gases, could remove indoor pollutants. 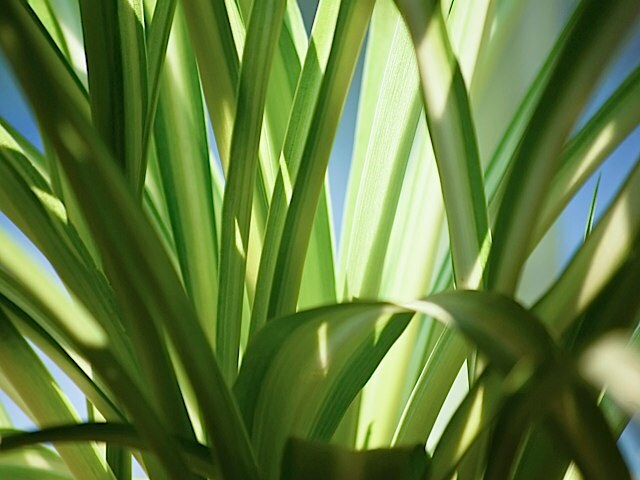 Researchers suggested using one potted plant per 100 square feet of home or office space to improve indoor air quality. One study found that philodendron, spider plant and golden pothos removed 80 percent of the formaldehyde that was introduced into a sealed chamber. 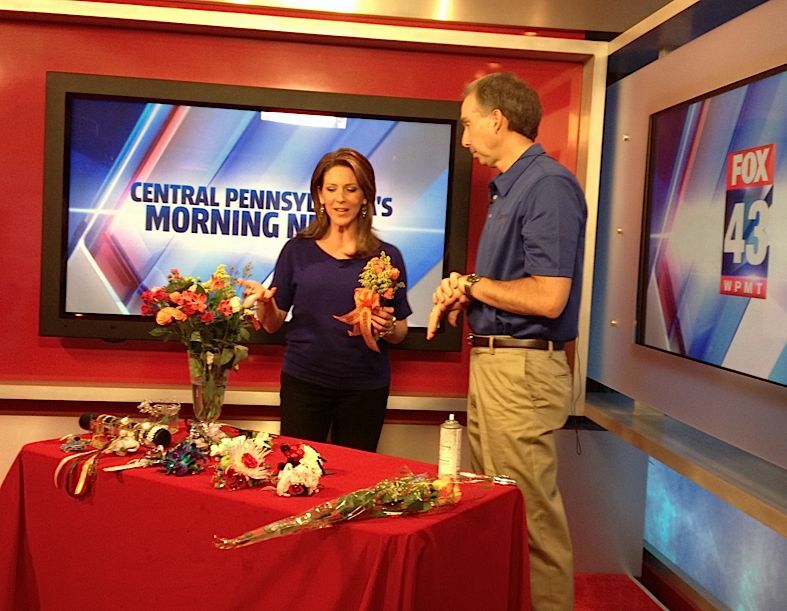 Barry Spengler of Royer’s Flowers talks Mother’s Day with Fox 43’s Heather Warner. Barry Spengler, Royer’s vice president of operations, has a simple message when it comes to Mother’s Day. Barry offered a number of options, from one or two roses wrapped up to a mixed bouquet in a vase to porch plants such as gerbera daisies or calla lilies. Potted plants want to be outside, he said, and require a lot of water. You can view the entire segment below.